UPDATED: Fri., Jan. 19, 2018, 5:30 p.m.
Gonzaga and North Carolina have agreed to a two-game, home-and-home series beginning next season. It was first reported by Jon Rothstein of CBS Sports. A Gonzaga source confirmed the agreement but said the contract hasn’t been signed. 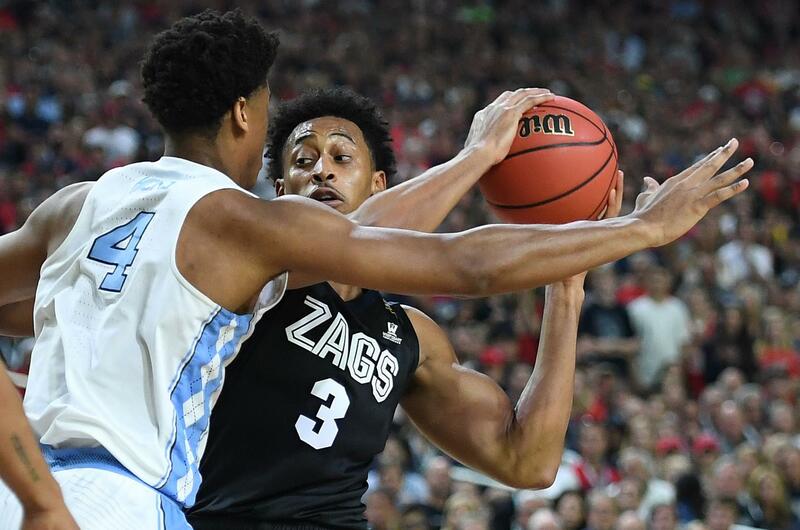 The perennial powers met for the national championship last season with North Carolina scoring the last eight points for a 71-65 victory at University of Phoenix Stadium in Glendale, Arizona. Gonzaga will face North Carolina at the Dean Smith Center in Chapel Hill next season, according to the report. The Tar Heels will visit the McCarthey Athletic Center the following season. Dates haven’t been finalized. The teams have played three times with North Carolina holding a 2-1 edge. The Zags knocked off No. 2 North Carolina 82-74 – which stands as the highest-ranked opponent GU has ever defeated – in the 2006 preseason NIT at Madison Square Garden. The Tar Heels handled the Zags 98-77 in the 2009 Sweet 16 en route to winning the national championship. Gonzaga’s Mark Few and North Carolina counterpart Roy Williams are close friends, stemming from their travels to Nike-sponsored coaching clinics. The tale of the two coaching staffs’ trip to a casino in Tunica, Mississippi, prior to the 2009 Sweet 16 contest was one of the highlights of the Final Four press conferences last April. Gonzaga, ranked 13th entering the week, dropped to 16-4 after falling to Saint Mary’s 74-71 on Thursday. No. 15 North Carolina (15-4), which has won six national titles, is tied for third in the ACC. Published: Jan. 19, 2018, 10:49 a.m. Updated: Jan. 19, 2018, 5:30 p.m.